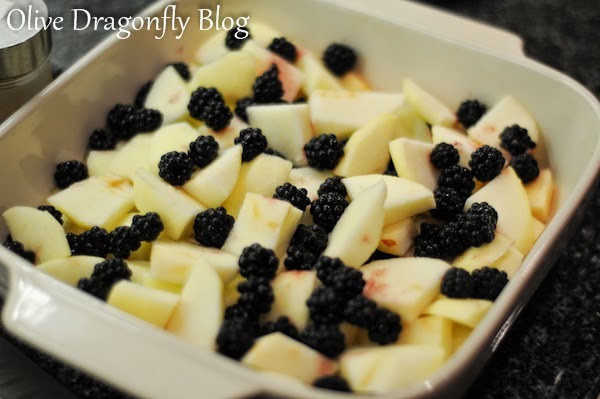 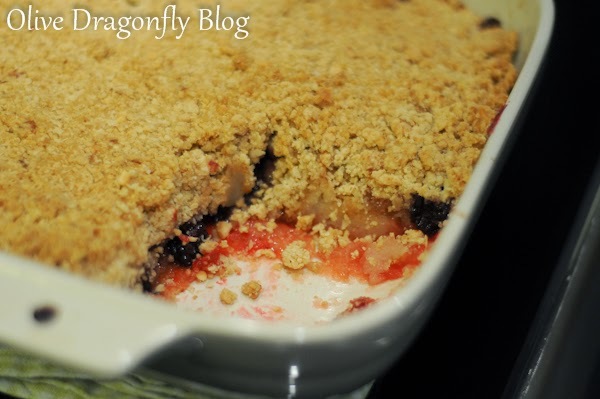 Place the apples and blackberries in a medium sized shallow oven proof dish. 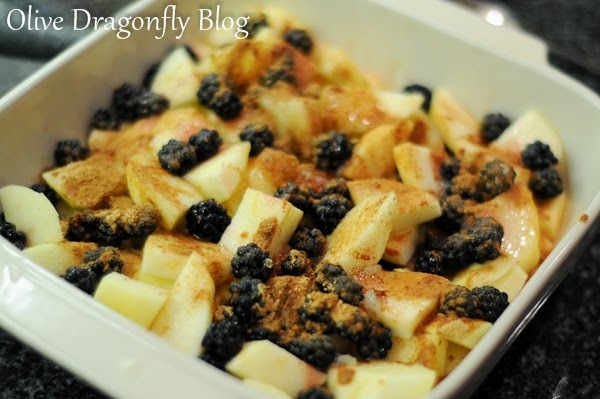 Pour over the lemon juice and evenly sprinkle over the sugar, cinnamon and ginger. 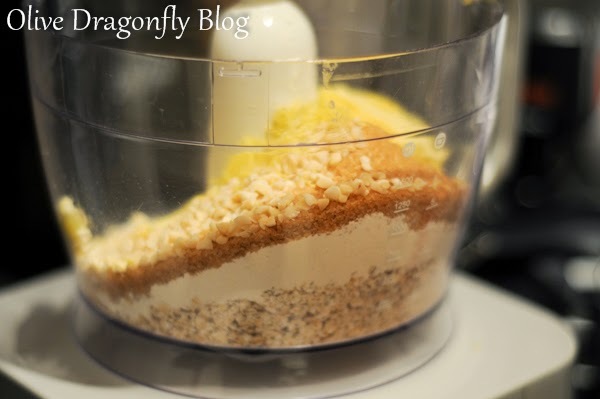 Place all the ingredients for the topping into a food processor and blitz until you have a crumbly mixture. 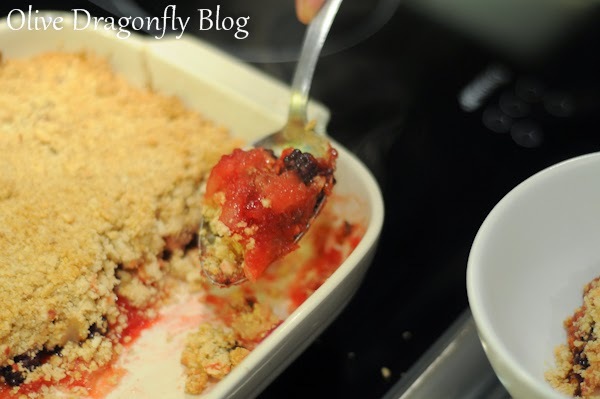 Cover the fruit mixture with the crumble. 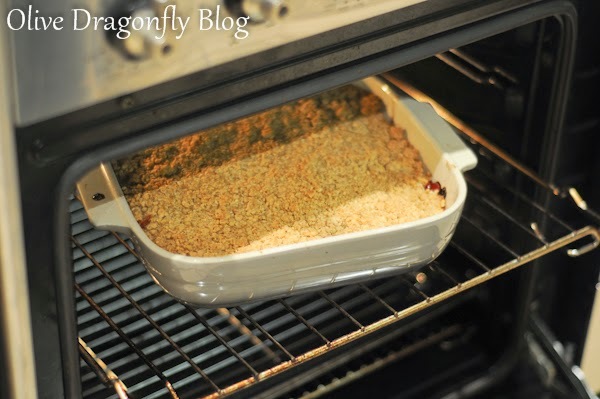 Bake for 30-40 minutes or until the top is golden brown and the filling is bubbling. 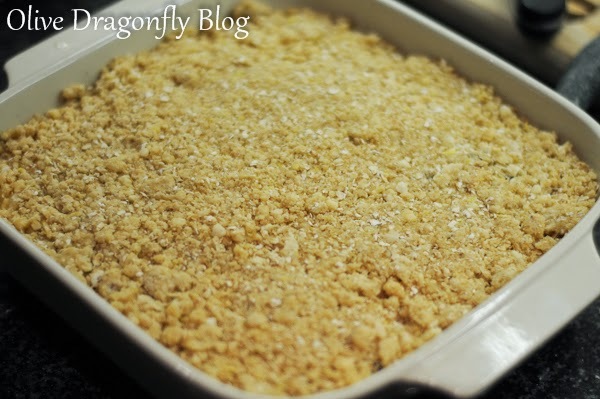 Serve with your choice of cream or custard.